This warm weather is enough to make anyone feel lazy. We’re all moving that little bit slower, searching for respite in the shade at every opportunity. Similar to the young chicks resting under their ‘mumbarella’! Aran, however, isn’t so fortunate. 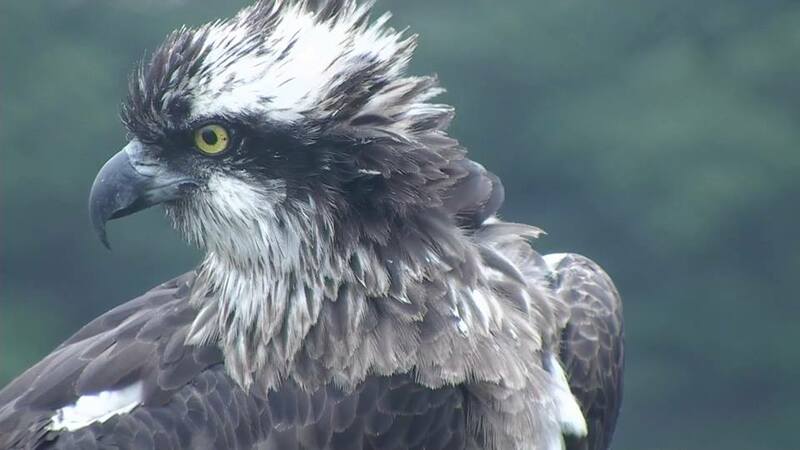 Once again, he proved himself quite the fisherman on Sunday 17th June bringing eight fish back to the nest between 4:15am and 8:42pm. In less than perfect conditions too as we were given a break from the sun with wind and rain. One of the fish he caught was a perch. Very rarely do we see a coarse fish being caught, but then again, Aran has proven he likes his diet to have variety! 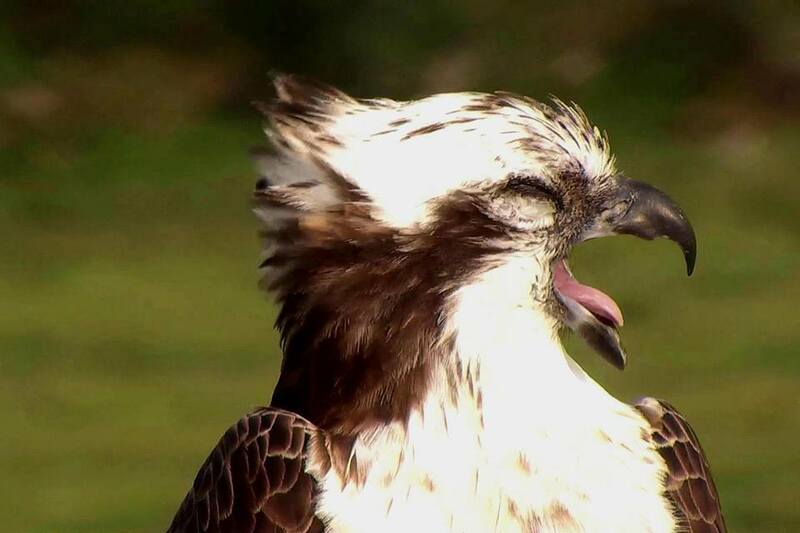 On the Monday morning he again landed on the nest at 3:37am with a mullet. We assume he also caught this on the Sunday evening and roosted with it overnight. This would bring his total to nine. That’s more than some licensed anglers would catch in a season! “I’m not sleeping. I’m just resting my eyes”. Some members of BGGW went on a Creatures of the Night walk with Rob Booth in Gwaith Powdwr on Friday the 15th. The bats made an appearance as the sky got gradually darker and we listened with our detectors to their signals and calls as they preyed on insects in the air. We may not have seen any nightjars but the churring of the male from the hills was unmistakeable, as was the ‘twit-woo’ duet of the tawny owls. 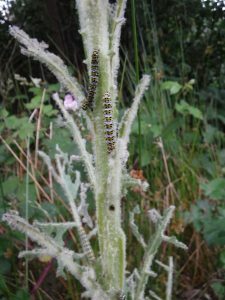 Before we turned back we spotted the gentle light of a glow-worm by the side of the footpath, and the glow of another three led the way home. This was a highlight to many who had never seen this unique beetle before. 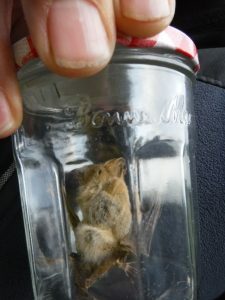 More bat walks will take place in Pont Croesor on 25th August and 15th September. 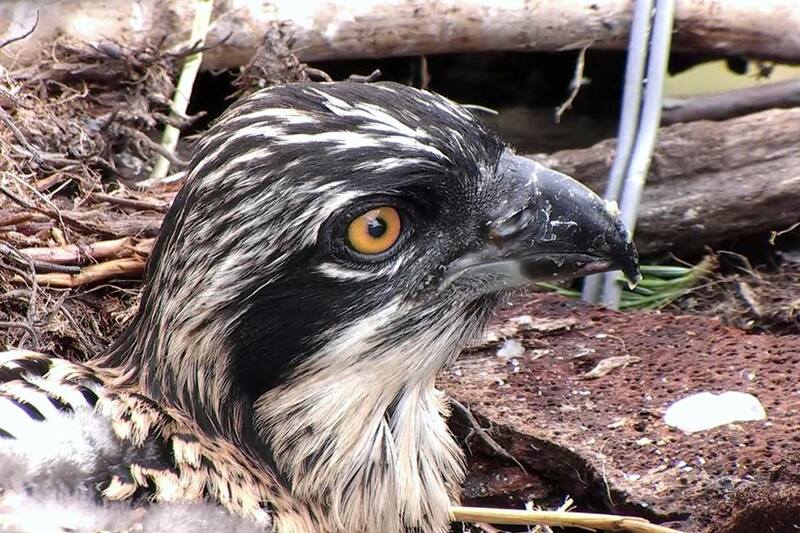 The eldest chick is 4 weeks old by now and they are all starting to resemble little ospreys. Their first down has mostly disappeared, and we are seeing their new feathers appearing. Within a week or so they will be ready to be ringed. If the chicks look anything like their parents, they will be lucky indeed! We believe Mrs G must be at least eighteen years old by now and she is as beautiful as ever.